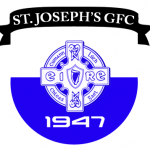 The St.Joseph’s annual Golf Classic takes place on Saturday 28 April 2018 in West Middlesex Golf Club. Tee Off starts from 11am and the entry fee is £50 per golfer which includes a meal afterwards. If there are any companies/businesses out there who would like to get involved in sponsoring a hole or tee please get in touch on the below contact number or contact either of our social media pages. All contributions would be much appreciated. For further details please contact: Conor Hallissey 0744733384. Training is now in full flow and continues each and every Tuesday and Thursday night in Perivale at 19:30. Please keep an eye on the Twitter and Facebook pages for any updates. The Senior team are due to play Garyowen this weekend in the 2nd Round of the Murphy Cup – with Round 1 being postponed due to unplayable pitches. Details of round 2 throw in times will be available on our Facebook and Twitter page.